The new Legacy online pridewear store will remain open year round with the opportunity to purchase apparel throughout the school year. Items and designs will be updated seasonally to give a fresh new look with the ever changing apparel world. 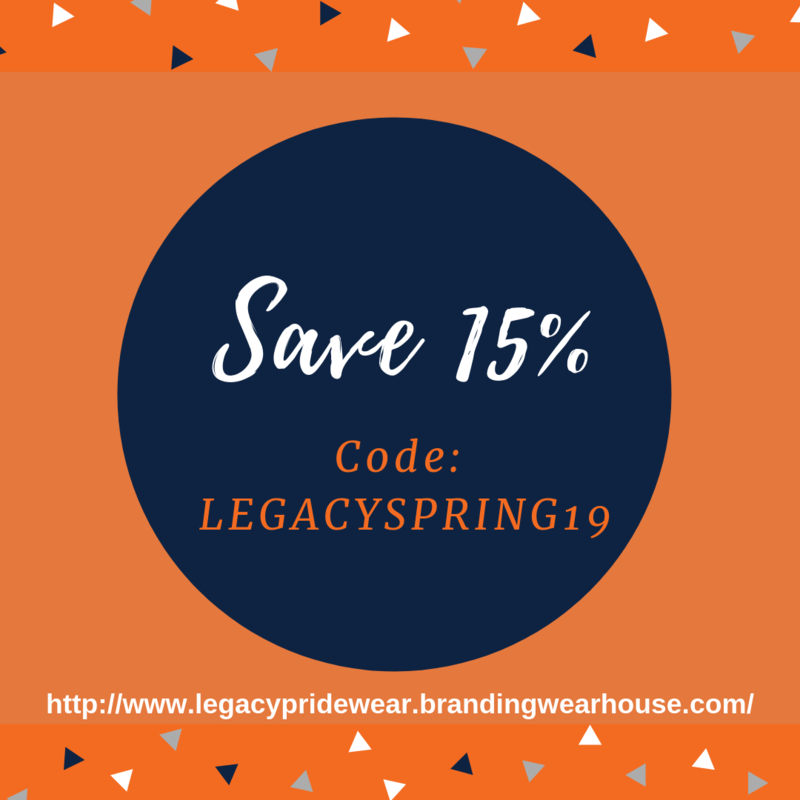 Click the button below to find many ways to wear and promote your Legacy Pride! Spring has sprung in the LCA Pridewear Store! 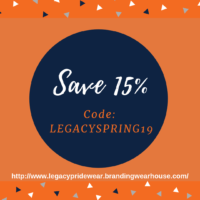 Use code LEGACYSPRING19 to receive 15% off your spring orders through April 20.